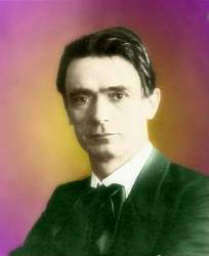 These were the last lectures Rudolf Steiner gave before he died. They were given only two days after a cycle of lectures he gave in Stuttgart, Germany, The Essentials of Education, GA#308. It will be useful to read my review of those lectures, in which I focus upon the use of pulsate as a preferred replacement for the verb matter, especially it is an oxymoron to say that spiritual issues matter, when, rightly understood, they pulsate. Torin Finser in his Introduction points out how teachers can get lost in maps and miss the territory of the child’s experience (1). This can happen to anyone of us if we view maps as things which matter, a sure sign that we are getting stuck in the science of matter, materialism, and losing sight of the territory around us. [page viii] Whenever considerations are frozen in time, we can succumb to materialism. This might assume the form of how one’s child or student is doing now. When something is divorced from context, it also tends to accentuate one-sidedness and opens doors to materialism. For example, one may view every issue purely from a financial, a pedagogical, or a legal perspective. When issues are constrained by rigid frames — for example, when people are seen as objects in space without consideration of time — we have increased materialism. Children pulsate, are not rigid, and therefore any fixed map of who or what they are or are doing will most likely lead the teacher astray into their own illusions (2) of what’s happening with and to the children. Perhaps you recall teachers from your early years who tried to foist their own illusions of the world upon you, which you likely resisted and with the result that the teacher lost your interest. Perhaps it was only for one class or for that one subject, perhaps it was just for one day, or for the rest of your life. Steiner was giving these lectures after th Great War which ended in 1919. It was the War to end all Wars, but it really was only the beginning of a century filled with wars, both large World War II and smaller one, like in Korea, Vietnam, and many other locations. The chaos continues into the twenty-first century, and what Steiner offers humanity as a solution is true education. [page 1] We must develop an art of education that can lead us out of the social chaos into which we have fallen during the last few years and decades. Our chances of overcoming this chaos are very slight. In fact, one is tempted to say that there is no escaping this chaos unless we find a way to bring spirituality into human souls through education, so that human beings may find a way to progress and to further the evolution of civilization out of the spirit itself. Rightly understood, we are in better shape now than in 1924 when Steiner spoke these words because Steiner spent much of the final years of his life fostering, shepherding a new form of education which has in the century since spread across the world into thousands of Waldorf Schools. In these schools, teachers are reaching children by approaching them as beings of body, soul, and spirit, and helping them to discover and develop in themselves what they came into this world to experience and do. The approach of these teachers is likely very different from that of teachers in non-Waldorf-based schools. Haven’t we made tremendous progress during the hundred years since Steiner’s time? Surely that progress must have improved our educational system as well. One might think so, but it hasn’t. Why? Because the progress in science and industry has been based solely on sensory-based technology and abstract logical reasoning. Humans have come to be treated as mere bio-computing organizations which will shortly be out-performed by silicon- and quantum-based computing organizations. The worldview envisioned by Steiner has come into existence. [page 2] We have also seen that a certain worldview has gradually crystallized out of that scientific progress. The world as a whole —which includes the human being —seems to be viewed exclusively in terms of what the senses tell us about natural phenomena, and what the intellect, which is related to the brain, tells us about the realm of the senses. Nevertheless, all of our recently acquired knowledge about the natural world does not, in fact, lead us to the human being; this is not clearly recognized today. Although many people feel this to be the situation, they are unprepared to acknowledge that — regardless of all that the modern age has provided us in terms of information about the natural world — we are still no closer to understanding the human being. What the intellect tells us about any realm comprises a map, and a map cannot represent all the territory it points to; a map can be useful, but it can never be complete. There is always even more. Especially when some map tells us about the human being. The map must always leave out the soul and spirit of the human being, and thus, with all our fancy twenty-first century maps (3) we are today no closer to understanding the full human being than we were a hundred years ago in Steiner’s time. [page 3] Recently, the thinking and worldview of natural science have taken hold of people more deeply and closer to the marrow than they like to think. Even those not specifically trained as scientists think, feel, and act scientifically. This is not acceptable for teachers, since scientific thinking provides an understanding of only one member of the whole human being — the physical body, or body of the senses. But this is only one member of the entire human being, and anthroposophy shows us that when we have genuine knowledge of the human being, we see that the human being possesses three clearly distinguished members — physical body, soul, and spirit. Every atom of our physical body is replaced over the course of about seven years. Seven years after birth even the teeth are replaced. These first teeth were created in the mother’s body, the new teeth were created during the seven years outside the mother’s body and are the person’s teeth intended to last a lifetime. [page 5] Anyone can see how the human organism develops. We cut our nails, our hair, and we find that our skin flakes off. This demonstrates how physical substance is cast off from the surface as it is constantly pushed out from within. This pushing from within — which we observe in the change of teeth — is present throughout the whole human body. More exacting knowledge shows us that indeed the child gradually forced out the body received through inheritance; it was cast out. The first teeth are forced out, and likewise the child's whole initial body is forced out. As the physical body is being replaced, the soul and spirit permeate the newly forming body based on the initial inherited model present at birth; in effect, at about teeth change the full human being is forming as body, soul, and spirit. [page 5,6 ] What we are given by our parents through inherited physical substance unites in embryonic life with what descends from a higher realm as pure spirit and soul. Spirit and soul take hold of the physical body, whose origin is in the stream of inheritance. This physical body becomes its model, and on this model an entirely new human organism is formed, while the inherited organism is forced out. Did you ever wonder why a baby never seems to get tired of milk? Its food would seem monotonous to us as it stays the same, but the baby loves it, day in and day out. In several places Steiner says that a baby tastes with its entire body, experiences the milk as delicious, and never grows tired of it. How can the baby taste with its entire body? In this next passage Steiner elaborates. [page 8] As adults, when we eat something sweet, it is the tongue and palate that perceive its sweetness; a little later, the experience of sweetness ceases when the sweet substance has gone into another part of the body. As adults, we do not follow it farther with our taste. This is very different for a child, in whom taste permeates the whole organism; children do not taste only with the tongue and palate but with the whole organism. The sweetness is drawn throughout the organism. In fact, the whole child is a sensory organ. Since the whole child is a sense organ, they absorb deeply everything which goes on around them. The fury of a choleric person will be absorbed by a child the same way that color flows into a child’s eye. (Page 9) Equally, the actions of teachers of other temperaments will be absorbed by the child. The effects upon the child will be immediate, but will last for decades and eventually become part of their body. [page 9] Whether it be fear or joy and delight that a child experiences in the environment, all this passes — not crudely but in a subtle and delicate way — into the processes of growth, circulation, and digestion. Children who live in constant terror of what may come their way as expressions of fury and anger from a choleric person, experience something in the soul that immediately penetrates the breathing, the circulation of the blood, and even the digestive activities. This is tremendously significant. In childhood we cannot speak only of physical education, because soul education also means educating the body; everything in the soul element is metamorphosed into the body — it becomes body. The melancholic teacher by living internally much of the time withholds warmth from the child. [page 11] This warmth, which is so often missing in education, acts first as a warmth of soul, and then passes into the body, primarily into the digestive system. This quickens the seed of certain tendencies that appear later in life as all kinds of disorders and blood diseases. The indifference expressed by the phlegmatic teacher prevents the child from learning inner activity, with the following potential effects on the child’s later life. [page 12] If you observe someone who developed under the influence of a phlegmatic person, and if you follow the course of that person's life into later years, you will often notice a tendency to brain weakness, poor circulation in the brain, or a dulling of brain activity. 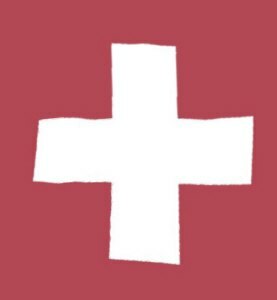 A sanguine(4) teacher is one who flits from one thing to another without giving the child a chance to focus and absorb each thing. [page 12] In order to arouse sufficient inner activity in a child, the teacher must lovingly hold that child to one impression for a certain period of time. If we observe a child who has grown up under the influence of an uncontrolled sanguine nature, we see in later life that there is a certain lack of vital force—an adult life that lacks strength and content. The results of various temperaments of teachers, if not properly modulated, will be visible to the perceptive eye when the child reaches the age of forty or more. Not only must true teachers learn to utilize the temperament of each child, they must learn to adjust their own temperament in the course of interaction with each child. The results of failing to do so may not be written on their annual evaluations, but will definitely be written on the life of each child as they mature. Teachers are watering the roots of education in their children and how they do so will determine the shape of the tree which grows from those roots. [page 12] Thus, if we have the ability to see it (and education depends on a capacity for subtle perception), we recognize various types of people in their fortieth or fiftieth year of life, and we are able to say whether a person has been influenced by the temperament of an educator who was melancholic, phlegmatic, choleric, or sanguine. There is another caveat to teachers today: avoid one-sided materialistic thinking as it will engender insomnia in your child when they mature. This kind of thinking is useful in science classes, but it has become pervasive in all classes of most schools. Small wonder there are so many over-the-counter medicines today to help people go to sleep. When we work with our hands, we grasp things and maneuver them physically. When we think we also grasp things, but with our etheric body we can reach out to the things we think about. Thus, the origin of our using the word “grasp” for both physical things and mental things. We can see our physical hands but without special training cannot see our etheric hands. [page 25] People cannot see that when they think their being actively flows out and takes hold of the objects of their thinking; this is because they do not perceive the lowest supersensible member of the human being, the etheric body, living within the physical body, just as the physical body lives within the external world. When we move our physical limbs, walk with our legs and grasp with our hands, we get tired and wish to go to sleep. But if we have not moved our etheric limbs, we have trouble sleeping because our etheric limbs are not tired. If we spend our time in scientific thinking (which characterizes the way most people think in every field of activity today), our etheric limbs get no exercise, and the result is we need sleep to rest our weary physical body, but our almost unused etheric body is not tired and it keeps us awake. This has resulted in a near-epidemic of insomnia in our time. [page 26] What is the cause of the sleeplessness of our materialistic time? It is due to the fact that if we think only in a materialistic way, the activity of thought — this "grasping" or "handling" of our environment through thought — does not allow the corresponding organs of the etheric body to become tired since it has become too abstract. Here, only the physical body becomes tired; we fall asleep — the physical body falls asleep — but the etheric becomes nervous and restless and cannot sleep. It draws the soul and spirit back into it, and this condition will necessarily develop gradually into an epidemic of insomnia. This is already happening today. Only by considering such matters can we understand what this materialistic time signifies. It is bad enough that people think materialistic, theoretical thoughts; but in itself this is not really that serious. It is even worse that we experience the effects of materialism in our moral life and in our economic life. And the worst thing is that through materialism, all of childhood is ruined to the point that people can no longer come to terms with moral or spiritual impulses at all. If many people are experiencing insomnia today, it is a sure sign that scientific-type (materialistic-based) thinking has become widespread in our adults due to the way they were educated in school. [page 26] But the worst thing for an educator is to watch a child go through years of schooling and receive for the soul only nourishment that bears the stamp of natural science — that is, of material things. Of course, this does not apply only to school science classes; all education today, even in the lowest grades, is based on scientific thinking. This is absorbed by children, it grows up with them, and it penetrates the whole physical organization so that in later years it appears as insomnia. If we wish to rid society of the ills of insomnia, we need teachers who can grasp that the etheric body must be exercised as much during the course of a day as the physical body. Teachers who know this can help bring restful sleep to both the child’s later adult physical and etheric bodies, thus preventing insomnia. [page 27] We must learn to see how a person is inwardly active, so that people experience their etheric just as they feel their physical body; they must recognize that when they think about any object, they are really doing in the etheric what is otherwise done in the physical human body. If I want to know what an object is like, I feel it, I contact it, and thus gain a knowledge of its surface. This also applies to my etheric body. I "feel" etherically and supersensibly the object I want to "grasp," what I wish to conceptualize. The etheric body is just as active as the physical body, and correct knowledge of human development can come only from this knowledge and consciousness of the etheric body's activity. Why does it take so long for defects of faulty education to appear a person’s life? Steiner explains that something which influences soul life takes a long time to effect the physical body. [page 33] Effects on the physical body take much longer to manifest, because the physical body must free itself of the soul and spirit. Therefore, something that influences the soul life at four or five may come to fruition in the physical body when that person is seven or eight times as old — for example, in the thirty-fifth year. Thus, a person may develop an illness during the late thirties or early forties caused by ill influences that affected that soul while at play as a child of three or four. Medical science has discovered that our brain’s hippocampus is responsible for passing the cognitive aspects of memory to its cortex. Since the hippocampus doesn’t come fully on-line until we are five years old, memories of things which happened before five years old are rare, but the physical actions we take such as gestures, moving our hands and feet, and the internal feeling states are stored in our limbic system. These non-declarative memories are replicated for the remainder of our life and form the basis for many of our skills and our emotional life. In doyletics we call these physical body states doyles. If we discover some unpleasant reaction to something, a food dislike perhaps, at an age over five, we can use the Speed Trace to remove the reaction. It does this by changing the reaction (a non-declarative memory) into a declarative memory, what we call simply a memory. In this next passage, Steiner describes the acquisition and retention of these physical body states or doyles. [page 36] When we observe a very young child, we find that the capacity to remember has the quality of a soul habit. When a child recalls something during that first period of life until the change of teeth, such remembering is a kind of habit or skill. We might say that when, as a child, I acquire a certain accomplishment — let us say, writing — it arises largely from a certain suppleness of my physical constitution, a suppleness that I have gradually acquired. When you watch a small child taking hold something, you have found a good illustration of the concept of habit. A child gradually discovers how to move the limbs this way or that way, and this becomes habit and skill. Out of a child's imitative actions, the soul develops skillfulness, which permeates the child's finer and more delicate organizations. A child will imitate something one day, then do the same thing again the next day and the next; this activity is performed outwardly, but also — and importantly — within the innermost parts of the physical body. This forms the basis for memory in the early years. Once the hippocampus is fully functional, images and sounds are stored as memories. If some traumatic event interrupts the operation of the hippocampus, the onerous feelings will be stored completely, but the images may only bleed through as flashes creating the syndrome known as Post-Traumatic Stress. [page 36] After the change of teeth, the memory is very different, because by then, as I have said, spirit and soul are freed from the body, and picture content can arise that relates to what was experienced in the soul — a formation of images unrelated to bodily nature. Every time we meet the same thing or process, whether due to something outer or inner, the same picture is recalled. This picture content can often be the trigger for a doyle (what was experienced in the soul), and this provides us the full content in pictures and feelings of the original event. If it was a joyous event, like a birthday celebration at three, we may only re-experience the feelings of joy, but if the celebration was at 7 or older, we may also remember who was there and what our birthday presents were. Steiner describes feeling as a capacity of the astral body, but the contents of feeling were stored before we were five in our limbic structure and can be retrieved at any time later. Negative feelings or bad doyles are usually less robust than good feelings and their negative aspects can be removed by converting the original event into a declarative memory by the action of the hippocampus which stores the visual aspects of it into the cortex. This can be done by an unconscious or conscious Speed Trace. Most people lose their food dislikes as they age into their twenties and above by an unconscious Speed Trace. They do this by wondering why do I still dislike this food and eventually they go back before the original event and it get converted into a declarative memory. This happened to me before I began working on doyletics: I hated macaroni and cheese until in my 20s I discovered I liked cheese and macaroni separately and tried them together to find they tasted okay because my dislike doyles had been traced away. Steiner says that the second supersensible body of the full human being, the astral body, develops our capacity for feeling. (Page 37) This capacity is developed from the storehouse of physical body states (doyles) contained within our brain’s limbic region which are the basis of our feeling life from teeth change onward. We develop our etheric body by using our hands in various creative activities such as sculpting. This make sculpting and painting an important part of early childhood activity. Its importance is not in the primitive sculptures and finger paintings produced, but in the changes which happen in our children’s bodies through their imitation of cosmic shaping. Knowing images is not enough, we must also learn to shape them with our own hands. [page 41] We must first create a new method of acquiring knowledge — a kind of plastic perception together with an inner plastic activity. Without this, knowledge stops short at the physical body, since we can know the etheric body only through images, not through ideas. We can really understand these etheric images only when we are able to reshape them ourselves in some way, in imitation of the cosmic shaping. Music is the astral body process equivalent to the etheric body’s process of sculpting and painting. Music, both listening to and creating it , comes from the astral body. Thus, one can only understand the astral body through understanding music. [page 42] However, the astral body itself, in its true inner being and function, cannot be understood by those laws. It can be understood only by understanding music — not just externally, but inwardly. Such understanding existed in the ancient East and still existed in a modified form in Greek culture. In modern times it has disappeared altogether. Just as the etheric body acts through cosmic shaping, the astral body acts through cosmic music, or cosmic melodies. The only earthly thing about the astral body is the beat, or musical measure. Rhythm and melody come directly from the cosmos, and the astral body consists of rhythm and melody. It should not be surprising that our astral body has shaped our human body in accordance with musical premises. The tonal center or tonic of a musical chord spans our shoulder blades, the interval of the second (one piano key or half tone away) spans our upper arm which has only one bone, and the interval of a third has two possibilities, a major (3 half-tones) or a minor (2 half-tones), spans our lower arm with its two bones, the long ulna (the major) and the shorter radius (the minor). The other intervals of fourth, fifth, sixth, and seventh proceed down the arm to wrist, and fingers with which we grasp and manipulate the world. [page 43] You see, we are speaking now of something that can be studied very objectively — something that flows from the astral body into the human form. In this case, it is not something that arises from cosmic shaping, but from the musical impulse streaming into the human being through the astral body. Again, we must begin with an understanding of music, just as a sculptural understanding is necessary in understanding the etheric body's activities. If you take the part of the human being that goes from the shoulderblades to the arms, that is the work of the tonic, the keynote, living in the human being. In the upper arm, we find the interval of the second. (You can experience all this in eurythmy.) And in the lower arm the third—major and minor. When you come to the third, you find two bones in the lower arm, and so on, right down into the fingers. Now we have another way of distinguishing the functions of the etheric and astral bodies. The etheric body is concerned with form, shape, how things are arranged in Space, like in sculpture and architecture. The astral body is concerned with time, how sound elements are arranged in time, tempo, beat, time sequence, and so on in musical compositions. If you wonder how our I works into music, consider the astral body as the source of the music and the I as the source of the lyrics. When a piano is out of tune, what do we do? We call a piano tuner who makes minor adjustments to the piano. A time will come when doctors will become like piano tuners: they will recognize an illness as a human being out of tune and will make minor adjustments to return the human into tune. [page 44] We can never explain the life of feeling and passion with natural laws and so-called psychological methods. We can understand it only when we consider the human being as a whole in terms of music. A time will come when psychologists will not describe a diseased condition of the soul life as they do today, but will speak of it in terms of music, as one would speak, for example, of a piano that is out of tune. [page 44] I understand very well that many people will consider what I have presented as pure fantasy, if not somewhat crazy. But, unfortunately, a so-called "reasonable" way of thinking can never portray the human being in actuality. We must develop a new and expanded rationality for these matters. In this connection, it is extraordinary how people view anthroposophy today. They cannot imagine that anything exists that transcends their powers of comprehension, but that those same powers can in fact eventually reach. Steiner gives an example of this happening among the Indians of America when they saw examples of the settlers writing on paper. These characters which seemed to talk to the settlers were thought to be tiny demons at first until the Indians began to understand writing as a human ability instead of black magic. [page 51] When the people of Europe came among the Native Americans and showed them how they expressed their thoughts on paper, the Native Americans were alarmed and considered it the work of the devil; they were afraid of the little demons lurking behind those written letters. They immediately concluded that the Europeans engaged in black magic, since people have a habit of attributing to black magic whatever they cannot understand. 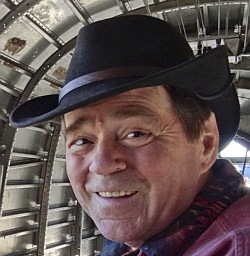 Steiner with his anthroposophy has turned the tables on the civilized world and they respond as Native Americans did to writing; they consider his ideas, writings, and practices as weird fantasies. When they appear to work, they consider them as black magic since they have not taken the time to understand them. Read the documents of people adamantly opposed to Waldorf education in the twenty-first century and decide for yourself if they do not sound like early Native Americans talking about the demons on the white man’s paper. One of Steiner’s ideas incorporated into Waldorf education is to teach writing before reading. Seems silly to us who learned to read before we began writing. “How could we write anything if we couldn’t read it?” might be our reaction to the practice. It is not silly at all but very practical when you consider that reading requires little from our hands but writing engages our arms and hand immediately and keeps them continuously in motion as we write. We begin by relating each abstract character of the alphabet to some animal or common object, e.g., the shape of a script f to a fish. For a young child the motion of writing is real whereas the process of reading is completely abstract. Once they have made the characters and words with their hands, reading comes naturally. [page 52,53] Thus, you should teach the children writing first, and let today's abstract letters arise from tangible reality; when a child learns to write in this way, the whole being is engaged in the process. Whereas, if you begin with reading, then only the head organization participates in an abstract way. In writing, the hand must participate as well, and in this way the whole human being is aroused to activity. When you begin with writing — writing developed through the formation of images and drawing forms — your teaching will approach the child's whole being. Then you can move on to teaching reading; and what was developed out of the child's whole being through drawing can be understood by the head. This method of teaching writing and reading will naturally take longer, but it will have a far healthier effect on the whole earthly life from birth to death. When a teacher gives a picture of truth, goodness, or beauty to a child from age 7 to 14, a marvelous process happens with great intensity: the soul of the child strives to makes sense of it. This striving may continue for decades in the child when finally at age 30 or 40, the child as adult discovers the meaning and importance of what the teacher placed before its soul at age 10. This revelation by Steiner goes contrary to those educators who insist that we “give children only what they can understand” at each point of their development, “since we live in an era of the intellect”. [page 57] It is not yet understood that it is possible to understand things with soul forces other than those of the intellect — and recommendations for so-called "object-lessons" can drive one nearly to despair. Any time a teacher offers a child of this age range something which requires them to use their soul forces, the child grows through the process of holding an unanswered question, which might be puzzling for its intellect, but its soul forces go to work upon the question, and out pops an answer in startling clarity often decades later. I have written about such unanswered questions in my own life in my rule, “What is the power of an unanswered question?” You may observe the rule is an embodiment of an Unanswered Question (5) itself. [page 57] There is a most wonderful life-giving power, when things already contained within a person's soul emerge and unite with the essence of what was acquired in the meantime. Such lifegiving forces can be born in the person only when what was accepted by the child on the authority of the teacher arises in the soul, through the maturity of subsequent experience. If memories are connected only with the intellect, then a child is robbed of life-giving forces. In these matters we must come to perceive the human being in a much more intimate way than is usual today. We must always begin with the whole when teaching arithmetic to children. Why? This is the best way of avoid first teaching the abstract processes of addition and multiplication. Hey, we all learned addition and then subtraction, did we not? And it didn’t hurt us, did it? Oh, maybe you loved learning subtraction after you learned addition, but in my experience very few kids did. Same for division, especially long division. These were universally hated by kids in my elementary school. But what if our teachers had started showing us the whole, subtracting away parts, and asking us how many were left? Subtraction would have seemed easy. You have 5 apples and somebody takes them away and only returns 3. How many did they keep? But instead we were taught to add 3+2 to make 5. Completely abstract. Working through 10 beans and taking away 3, then 4, and finding only 3 remaining is a manual operation and no abstract operation or logic is required, such as showing on the board that 3+3+4=10. Starting first with the 10, and removing the 3 and 3, then asking what’s left, gets the child already thinking with the processes which will later be required for algebra, the searching for the unknown. Fewer kids liked algebra than liked subtraction, and this is the reason why. Nothing had prepared them to think in terms of the unknown, which can happen when teaching subtraction by starting with the whole. [page 59] A sense for reality is sorely lacking in our time, and this is because (though not always acknowledged) something is considered true when it can be observed and is logical. But logic alone cannot establish truth, because truth can arise only when something is not only logical but accords with reality. Teaching arithmetic operations by starting with the whole shows how the logical operations align with reality, and reality is something this age range understands better than logic. They learn logic and rationality best by starting from reality not the other way around. [page 63] Here is an extraordinary fact you can verify for yourselves; with all relatively rational people — and nearly everyone is rational these days (and I mean that seriously) — you find that people have been educated only to be rational, only to work with their heads, and no more. Such people I would call super-rational not because they are more rational than the average person, which is the usual meaning of the adjective super, but because the average person today is super rational. They are super rational but are not aware of it because most everyone around them is also super rational. They have been educated to work with only their heads, and, in effect, live in a rational stupor, walking around like zombies saying, “Brains! More Brains!” This led me to write a poem about the situation. Carl Jung and Rudolf Steiner would disagree. Jung considered thinking and feeling as two rational functions. Who might be called the Stupor-Rational people. [page 63] To educate the whole person is not as easy. You only have to read what very sensible people have written about education, and you repeatedly encounter this sort of statement: “Nothing should be presented to a child from outside; but what is already there should be developed.” You can read that everywhere, but how is it done? One of the ways teachers might present something to a child is by a definition. Then the above dictum could be followed by developing “what is already there”. But is something really there? Consider carefully what happens when you give a definition to a child. They will memorize and spout it back if asked, but — can this really be called teaching and learning? One good unanswered question presented to a child is more productive than a thousand definitions memorized. A thread from the above lion question could bring up the idea that every animal is somehow a part of a human being, so might it be useful for a human to lie down after a meal like a lion does? This might lead to the study of the spleen as an important regulator of the human body, and from that thread one might envision how peristalsis after digestion gives the human spleen a gentle internal massage which helps its functioning to keep us healthy. When a child, exposed to this fruitful unanswered question (Why does a lion lie down after a meal? ), grows up to be thirty-five or so and is being run ragged by an intense job, it may recall what it learned about the lion and find ways to take post-prandial reposes to enrich its own life and health. Compare the usefulness of an unanswered question to having the child memorize a definition about what a lion is. Definitions are flat, abstract conceptions which possess no intrinsic living element, and, rightly understood, giving one to a child will bore it stiff, won’t it? Stiff, there’s that word stiff again. Yes, the child may memorize one or a thousand definitions, but a thousand definitions are useless compared to one good unanswered question which generates an enthusiastic interest in a child which will redound to its own good decades in the future. Each animal has some feature which is accentuated, but which appears integrated into the human being. Perhaps it’s the heart as in the lion, the head as in the bird, the stomach as in a bull, or the nose as in an elephant. Things various parts are assembled into the human being like instruments in a philharmonic orchestra: each has its own sound and rhythm which adds to the symphony played by the full orchestra. [page 67] In the human being everything is brought into harmony; each organ is developed so that it is modulated and harmonized by the other organs. For animals, however, each species embodies one of these human qualities in a specialized way. What would the human nose be like if it were not held in check by the rest of the organization? You can find certain animals with highly developed noses. What would the human mouth become if it were free and were not subdued by the other organs? So you find in all animal forms a one-sided development of some part of the human being. Teachers who have told fables and fairy tales about animals with human characteristics to younger children can now relate how each part of the human being came from a prominent feature of a given animal. [page 67] If you have previously told children stories in which animals act like humans, now you can divide the human being into the entire animal kingdom. In this way you can move beautifully from one to the other. [page 70] How does the teacher know this? Where does it come from? Is my teacher really the world? Until now, my teacher was the world, but now there is a question: Does not the world go beyond the teacher? [page 75] If during the early school years children have stored up an inner treasury of riches through imitation, through a feeling for authority, and from the pictorial nature of the teaching, then at puberty those inner riches can be transformed into intellectual activity. From that point on, the individual will be faced with the task of thinking what was willed and felt previously. And we must take the very greatest care that this intellectual thinking does not manifest too early; for a human being can experience freedom only when, rather than being poured in by teachers, the intellect can awaken from within on its own. Children who pass puberty without this “inner treasury of riches” often become lost souls searching for something but knowing exactly what. The Beat Generation, the Hippies, Generation X, the Goths, and so forth show examples of such rebellion in recent decades. In the 1950s the movie Rebel Without a Cause portrayed James Dean, Sal Mineo, and Natalie Wood as such lost souls wandering through their teenagership and not knowin what they are looking for. [page 75] During these awkward years, adolescents will imitate many things that seem pleasant (usually these are not exactly what would please their elders, who have a more utilitarian perspective); they imitate these things now, because they were not allowed to imitate in an appropriate and living way as younger children. Consequently, we see many young people after puberty wandering around looking for security in one thing or another, thus numbing their experience of inner freedom. If we wish to educate a child for all of life, we must cover what is beyond life as well. I came to Rudolf Steiner’s writing initially because I had realized that life was a puzzle with an enigma at each end. Where were we before birth, and where will we be after death? No other writers, philosophers, divines, or theologians offered me a reasonable answer, until I found Steiner. I read ten books of his and found no answer. But with the advent of the Internet, I asked, “What books of Steiner should I read?” and I soon found my sought-for answer in his An Outline of Occult Science. We humans evolved with the cosmos in which we find ourselves. Not only are we inside of the cosmos, but the cosmos is inside of us. This will be hard to accept for some, but a study of cosmic and human evolution will reveal this to be the case. [page 76] When we speak of immortality today, we do so out of a certain self-centeredness; it is true, of course, because it represents the fact that we do not perish at death, but that our life continues. But we fail to mention the other side — the "unborn." In ancient times, those who possessed an instinctive spiritual knowledge still recognized the two sides of eternity — the undying and the unborn. We will understand eternity only when we are able to understand both of these concepts. Eternity will be experienced when children are properly educated. Here again we are confronted by something where materialism should not be considered theoretically. If you consider materialism theoretically, you could come to the conclusion that the human being dies when the body dies, and if you are a teacher with such an opinion, your children will be unable to experience the eternal nature of their being, as they certainly will if they are properly educated, and nothing anyone says to the contrary can dissuade them. [page 77] You can preach as much materialism as you like to those who have been correctly educated, and it will not affect them greatly. They will reply, "I have the sense that I am immortal, and unfortunately this is something that you and your proofs have overlooked." Educated in the right way, a person will look upon death as an event, not an end. (Page 78) They will think that all good things come to a new good beginning. In dealing with punishment in the classroom, Steiner gives teachers a lesson in the effectiveness of calmness. 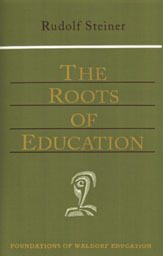 [page 78] Teachers must consider their own nature, as well as the nature of the children. The important thing is not so much what they do, but how — that the only effective punishment is inflicted by a teacher with complete inner calm and deliberation. If a punishment arises from anger, it will be completely ineffective. This lesson came home to me when my wife and I returned from a trip to Paris to find that our son had given us a surprise party, only he was the one surprised when we arrived a day earlier than planned. It was night-time and our home was full of his friends having a good time. As I walked from the taxi to the front door, I walked up to each of the boys, most of whom I knew, stood in front of them one at a time, and stared into his face, thinking how he had violated our home, until finally he walked away. Finally one of them said, “Mr. Bobby, what’s wrong?” I replied, “I just want to remember every face in this house.” I noticed that all the boys were quickly returning the furniture to its normal place in the house and vacating the premises. I achieved all this without saying a single word in anger. After than night I suspect none of those young men would have come to another surprise party at our house. If we humans evolved with the cosmos, then we can find aspects ourselves revealed in the growth of plants. Each plant makes one leaf after another under the influence of the Sun forces, and contracts into a tiny seed under the influence of Moon forces. The star forces act upon the plant as the seed develops the power to expand into a new plant. Likewise for us human beings. [page 83] These Sun and Moon forces that influence plants act in a more complicated way on the human being, and this leads us to think that the human being is not just a citizen of Earth, but of the cosmos as well. We know that when we eat —for example, cabbage or venison —or drink something, whatever relates to life pursues its own course within us. We nevertheless know about such things, because can perceive them. But we have no knowledge of how we are connected with the starry worlds in our soul and spirit — how the forces of contraction live in the sphere of the Moon, the forces of expansion in that of the Sun; we do not know that these forces maintain the balance more or less perfectly in a human being — that melancholic tendencies have their roots in the Moon realm, sanguine tendencies of soul in the Sun, and balance and harmony are brought about by cosmic activity. My usage of the words map and territory is consistent that of Alfred Korzybski in the landmark book about General Semantics, Science and Sanity (1933). I used the word illusions to refer to thought-forms comprised of conceptual ideas which, for teachers, educators, and school administrators, are often based on years or even decades of earnest academic study. I intend the word illusions to be descriptive, not derogatory. What maps? The maps we call “scientific thinking” today. They are more pervasive than in Steiner’s time, rightly understood. I suspect sanguine could be replaced by the term attention deficit personality today. I do not think of it as a disorder, but as a particular kind of temperament, one which teachers must be aware of and learn how to modulate it in themselves in the presence of a child. See Matherne’s Rule No. 25.